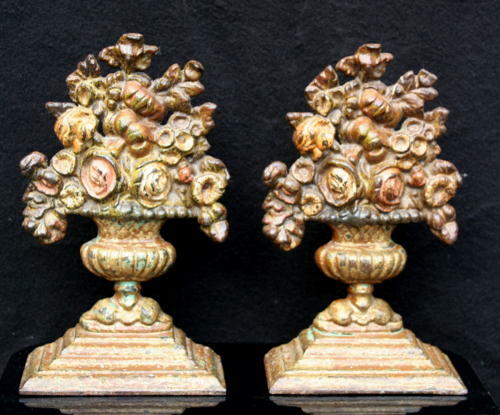 A very decorative pair of cast iron, victorian chinmey ornaments in the form of flower display in an urn. Lovely patination and orginal paint. English 2nd half of the 19th century.